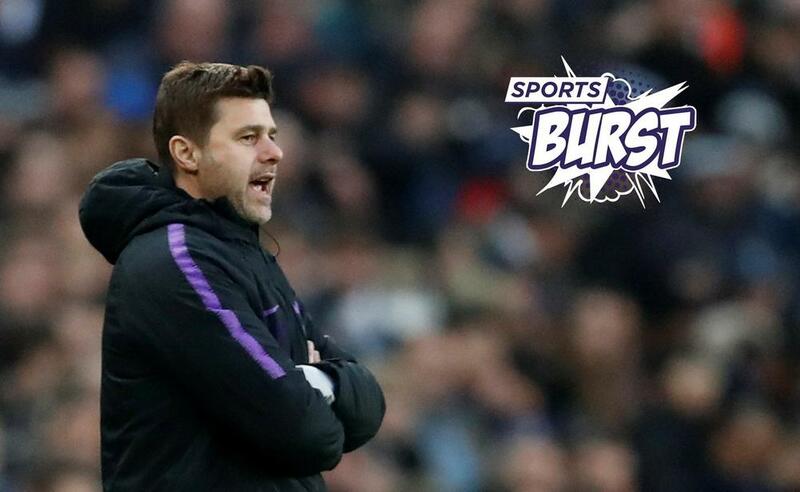 Sports Burst - Pochettino: Mad for Madrid? Mauricio Pochettino was in pure Schrodinger's cat form on Monday and vibrating in two conflicting plains of existence at the same time. Tottenham's huggable, lovable and downright adorable manager was in introspective form and giving Real Madrid supporters - and Manchester United fans to an extent - both enormous hope for the future and reasons to despair. The Tottenham Hotspur boss, coveted by Madrid as the bright youngish thing to lead the club into the future - well, a good two years before quitting or being fired - gave indications that he was considering the idea of staying at Spurs for life, Arsene Wenger-style, or leaving a project that may ultimately lead to nothing except irate fans and an empty trophy cabinet at a revamped White Hart Lane. "I hope or I wish to be here in 20 years and finish my career here," revealed the Argentinean, talking ahead of a English League Cup semifinal clash against Chelsea on Tuesday to deflate the hopes of Real Madrid fans, before mounting this holly sprig of hope. "I can see in the future Tottenham winning trophies," soothed Pochettino, "but I don't know whether it is with us or without." Glum Real Madrid fans will almost certainly take the "so, there's a chance?" crumb of comfort on Tuesday. Speaking of Real Madrid, the team is back in front of a less-than-satisfied Santiago Bernabeu crowd on Wednesday in a Copa del Rey Last 16, first-leg clash against neighboring Leganes just days after losing to Real Sociedad in La Liga. New signing, Brahim Diaz went to his first training session today and might well find himself in contention for a starting spot - if not the bench - in tomorrow's game due to a niggling rash of injuries spreading through the Real Madrid camp. ☝ @Brahim's first session with his new @RealMadrid team-mates! Gareth Bale is out - of course - along with Marco Asensio, Mariano Diaz, Marcos Llorente and now Toni Kroos who is sidelined for the next couple of weeks with a muscle injury. Speaking to the media ahead of the game, one of the hot topics for Santiago Solari was Gareth Bale leaving the match 12 minutes early, while watching from the stands. ""These are things that are solved privately," said the Argentinean, who did not reveal if Bale suffered any muscle spasms whilst departing the stadium. The Copa del Rey gets underway today with second division Sporting taking on a very troubled Valencia live on beIN SPORTS at 3:25PM ET / 12:25PM PT. That is followed by a very special edition of the XTRA where Ray Hudson will breakdown where it's going wrong for Real Madrid and what can be put right. Barcelona has announced that it has signed Toulouse center back, Jean-Clair Todibo, for the 2019-2020 campaign onwards. Heck, let's swing back to Spurs again and speak of an actual transfer that looks set to take place with Belgian midfielder, Mousa Dembele leaving Tottenham to head to the Chinese Super League and Bejing Guoan. Another deal that looks set to be finalized on Tuesday is Cesc Fabregas who is reportedly checking the fine print of a contract with Monaco to help keep the struggling tax-haven afloat in Ligue 1. "We are currently talking to him, we are waiting," admitted Thierry Henry on Monday. Actually, there could well be three deals done today with Pepe swerving Monaco and Arsenal and returning to Porto eleven years after leaving the Portuguese club for Real Madrid. Now, onto less... let's say solid ground and the ongoing story that Dennis Suarez is set to leave Barcelona for Arsenal in the winter window if the right deal can be struck with the Gunners. With the highest wage bill in the world, it's fair to say that the Camp Nou club is looking to grab the biggest return on the Spanish midfielder, who is very much out of favor with Ernesto Valverde. Mario Balotelli is still on the hunt for a new club after it was made clear that there is no future at Nice. Talks with Marseille have reportedly broken down leaving the option of a return to Serie A potentially with Parma or Sampdoria. Inter striker, Gabigol, is now less likely to be joining up with West Ham United and staying in Brazil with a loan deal with Flamengo. The Sports Burst live show with Gabrielle Amado and Ray Hudson will run its comb of truth through some of these deals and then happily rate or slate. Just head to our beIN SPORTS USA Facebook page at 12PM ET / 9AM PT.